It’s not what Dr. Feldman puts in, but rather how AMAZING your breasts look when you leave the OR that matters! A skillfully crafted belly button, sculpted waistline and flattened stomach all carefully blended into your natural curves set Dr. Bancroft’s results apart, creating harmony you will desire to show off. 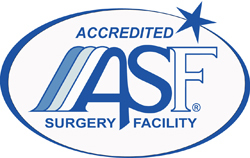 Combine liposuction, tummy tuck and breast enhancement for a breathtaking transformation in Bancroft Feldman Plastic Surgery’s own AAAASF accredited operating room.